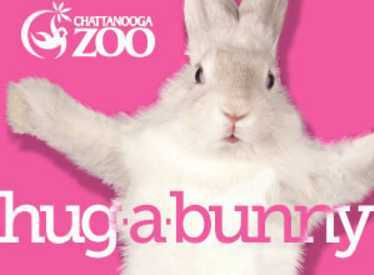 Hug-a-Bunny is a spring celebration for all ages! 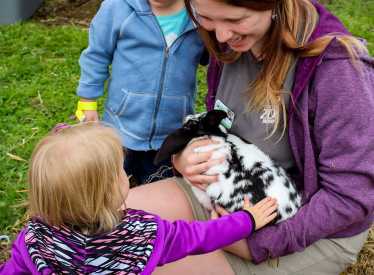 Guests will have the chance to get their photo made with the Easter Bunny, enjoy springtime games and crafts, gather Easter eggs, watch as our Zoo animals enjoy their egg hunt enrichment, encounter the Zoo’s real bunnies, and more! This year’s celebration will be April 19th & 20th from 9am-5pm each day. Choose between either date for a hoppin’ good time! Included with Zoo admission: Golden egg scavenger hunt, animal enrichment activities, photos with costumed characters, story time, & enjoying the Zoo! 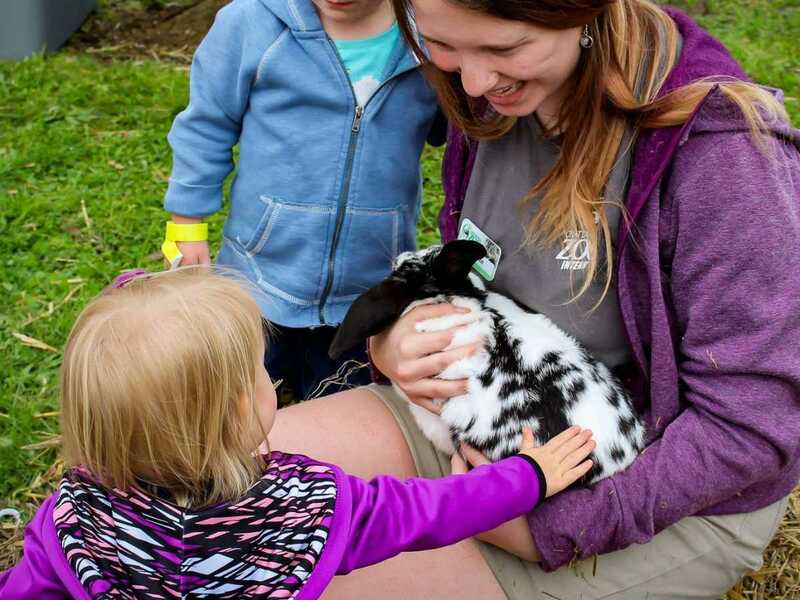 Bunny Zone includes bounce houses, games, crafts, face painting, bunny encounters, tortoise encounters, & ambassador animal encounters! *Wristbands are required for all those who wish to participate in Bunny Zone activities. Children 2 and under that wish to participate do need a wristband. Parents and Guardians that are just supervising, but not participating do NOT need a wristband. Babies not participating in activities do not need a wristband. 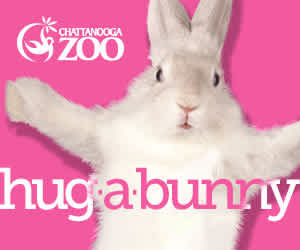 NOTE: Hug-a-Bunny Day event is held rain or shine. No refunds.